Reporting on all the culinary options throughout our 10 townships sounds like a delight for the taste buds but a disaster for cholesterol levels and waistlines. When it comes to fine dining, however, it is possible to generalize, using one linen-table-and-candlelight experience to conclude that our chefs countywide are skilled, professional, artistic and dedicated to creating unforgettable dishes. The microcosm of Montco dining for the purposes of this edition of The Pursuit is Savona in Gulph Mills, a 15-year staple near Hanging Rock in Upper Merion Township. The establishment has a well-deserved reputation for world-class cooking and the largest wine cellar in Pennsylvania, with 1,200 available selections. It is a cool Thursday evening when my wife, Eileen, and I pull into the lot. Many of the spaces are taken, and I briefly wonder about parking, but an energetic valet approaches and whisks our wheels away. We enter and find the restaurant active with mid-week diners. The bar is buzzing, and from the dining room tables comes the soft clink of silver on dishware. The décor is plush and oaky without being stodgy or intimidating. Savona&apos;s building, like many sites in the area, has ties to the winter encampment of Valley Forge in 1777-1778: It was a lookout post, from which the Continental Army kept an eye on the maneuvering British. The present-day décor retains some of the original architecture, including the impressive stone fireplaces, but has injected a current, comfortable atmosphere. The relaxed feeling is best embodied on the curved porch, where we are shown our table for two. As we sit, the sky is turning a pale purple, and a gentle breeze supplies natural air conditioning. Menus come our way, and a quick glance reveals the culinary viewpoint of Executive Chef Andrew Masciangelo: not exclusively Italian but an obvious Italian influence. We mull over the possibilities, and I offer only one ground rule for the evening: "We&apos;re not allowed to both order the same thing." Eileen smiles in agreement and nods. We open the meal with a selection from the prima piatti (first course) offerings. Eileen goes for the Caesar salad; I&apos;m picking the mozzarella di bufala Campania, a serving of sun-gold cherry tomatoes, basil, olive oil and discs of rich cheese. The waitstaff is attentively unobtrusive, meaning they&apos;re nearby when we have a question or concern but otherwise invisible. They strike exactly the right balance to ensure we have a perfect meal. It&apos;s time to choose an entrée. Eileen selects spaghetti alla chittara, which is spaghetti and meatballs, but what arrives is anything but ordinary. The pasta is hand-made, and the meatballs - roughly the size of a pool cue ball - are a flavorful mix of veal and ricotta. My dish is strozzapreti, a waiter recommendation comprising a toss of lamb sausage, local corn, chanterelle (a mushroom), roasted peppers and pasta. The dinner is nothing short of delizioso. Chef Masciangelo comes to our table and sits ("Call me Chef Drew," he says.) He&apos;s been creating in the Savona kitchen since 1997, after receiving his training at the Culinary School associated with the Pennsylvania School of Technology. "I was originally in the School of Business at Penn State," he says. "But I realized early on that I&apos;d made a big mistake. So I transferred." His interest in cooking is deep-seated. "I remember watching my father make raviolis for Christmas dinner," he recalls. I ask him what his favorite dish is on the menu, and he hesitates, like a father being asked which of his children he likes best. Finally, he comes up with a response: "The spaghetti and meatballs." Eileen voices her own endorsement. Given that he cooks professionally, I ask Chef Drew if he also cooks at home. "I do," he responds. "I&apos;ve got five young children. Sometimes, it&apos;s good for me to escape into the kitchen for a while," he smiles. We order dessert and, as it&apos;s being prepared, Chef Drew takes me on a quick tour. The wine cellar is indeed an impressive space that not only houses the restaurant&apos;s extensive array but also features a large table for group dining. The room is also the setting for periodic wine tastings and other events: "I run cooking classes on Saturday mornings," Chef Drew explains. "The students work with me in the kitchen, and then we come down here and eat." "Are the classes just for adults or is there a kid edition, too?" I ask. He tells me that right now, it&apos;s only for adults. "But I have always thought classes for kids would be a great idea. I should look into that." We return upstairs and the chef shows me his mainstage, the kitchen where he works his magic. The area is efficiently compact, and a busy crew is filling orders with clockwork precision. Chef Drew and I return to the table, where he says his goodbyes and returns to his post. Dessert and coffee come. The server gently breaks the crust of Eileen&apos;s soufflé and pours in a small pitcher of molten vanilla cream sauce. A small plate is whisked in front of me, bearing a cheesecake topped with fresh cherries. The sweets are, as they say, to die for. A meal at Savona is perfect for marking a special occasion, a family get-together or even just a romantic dinner for two. The food covers a wide spectrum, from a Sicilian octopus stew to gourmet-style pizzas. Reservations are a must on weekends. 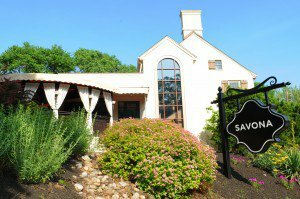 Savoring Savona&apos;s menu - as well as at our other signature restaurants in Montgomery County - can lead to a whole getaway weekend when paired with an overnight stay. 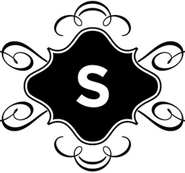 See our website for a great escape for you and a special someone. Special rates and giveaways in our "Let Freedom Reign" campaign are still available.